Hey Quilters, if you missed our May meeting, not to worry - we will be sending out a summary of Maritza's tips for quilting with unconventional materials soon. 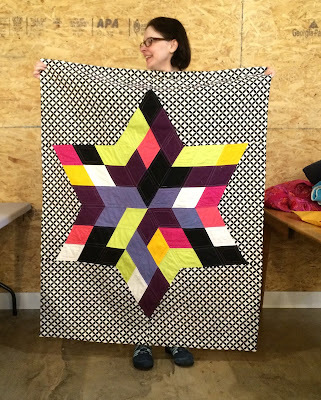 And if you found the idea of quilting with knits and double-gauze exciting, then you definitely don't want to miss our next meeting on June 26th when T will be instructing us on how to quilt (or just sew, for that matter) with spandex! Check back in the next couple of weeks to learn more about T in our Meet Your (quilt) Maker series. 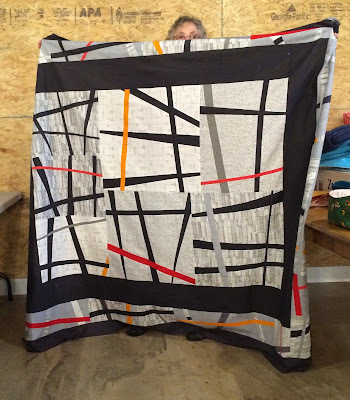 All this instruction in quilting with unconventional materials is just background for our Alternative Materials Quilt Contest. 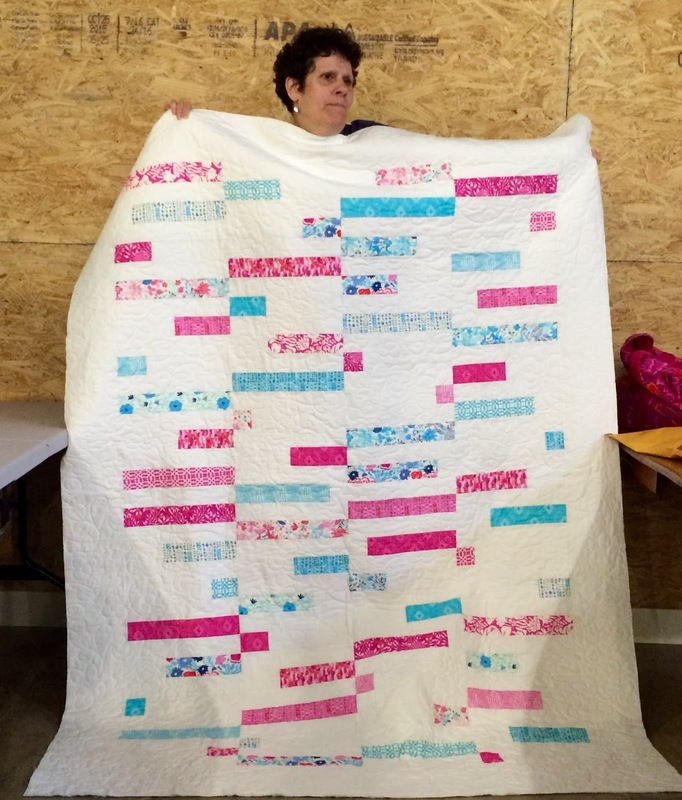 See our Projects/Challenges page for all the details. 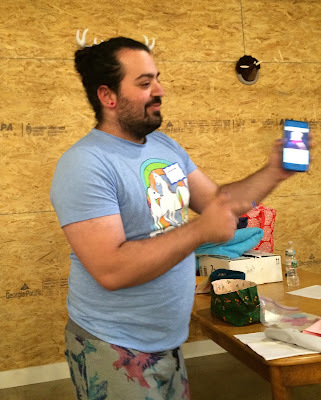 T already had to deliver this special order speedo - but we got to see a picture! 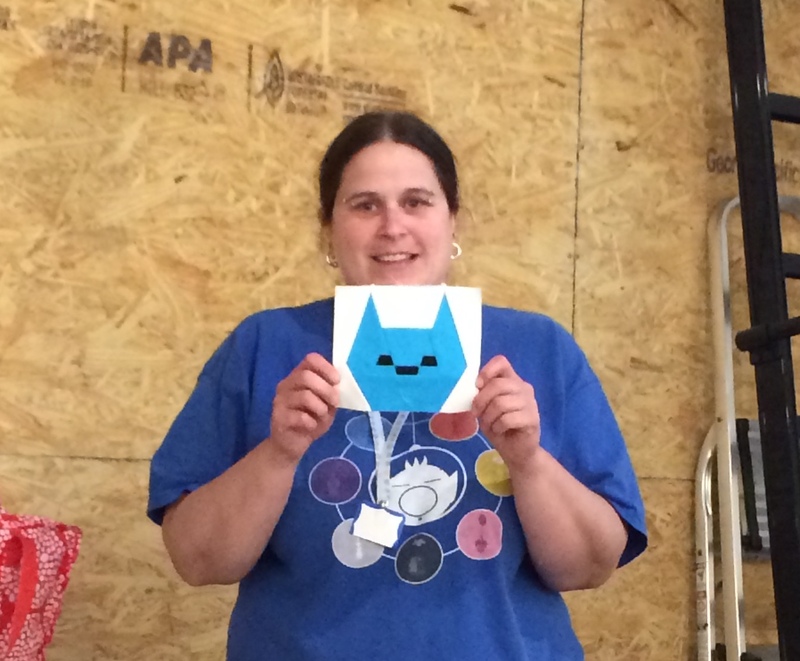 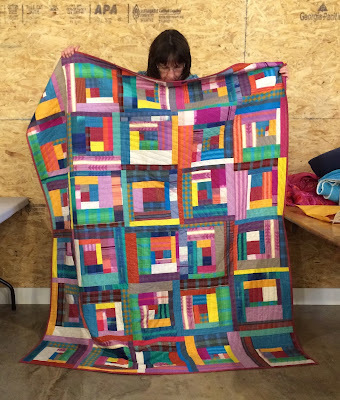 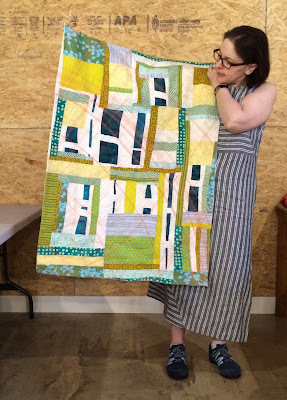 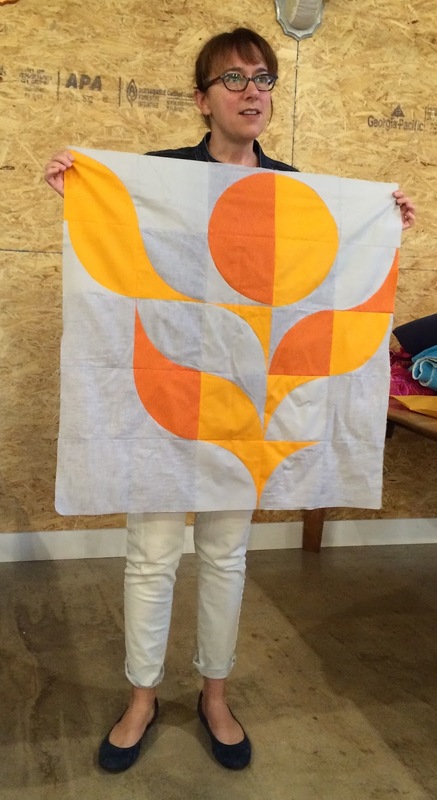 Jenn shared her organic square quilt that she designed to play with scale. Charlotte's star quilt had invisible binding and a great background fabric. 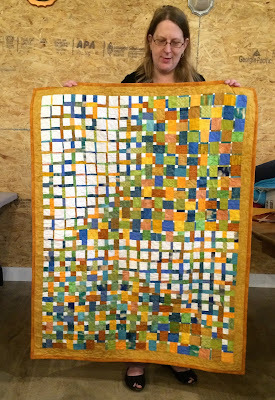 Her improv quilt had really cool arced and straight line orange quilting that invoked the Key West sun. 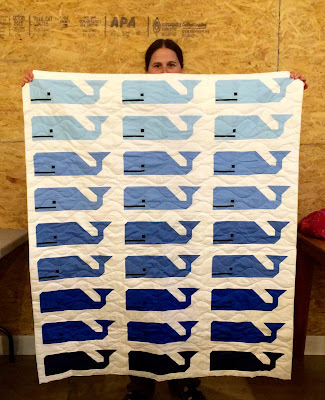 And we got to see the whale quilt quilted with waves! 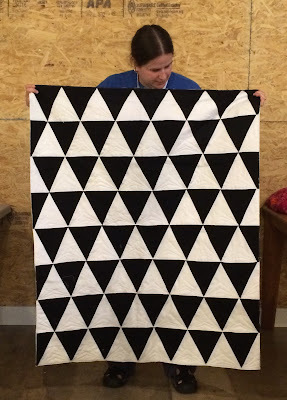 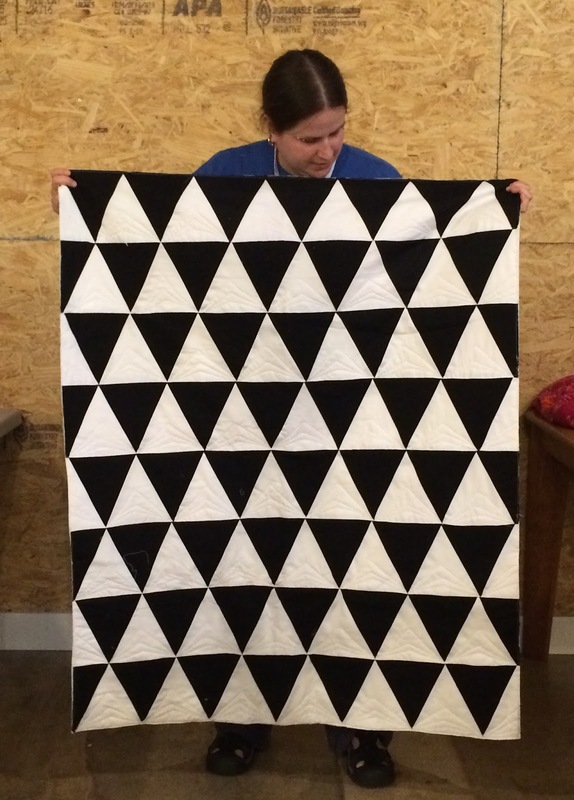 We finished up with Allison's perfectly pieced triangle quilt. 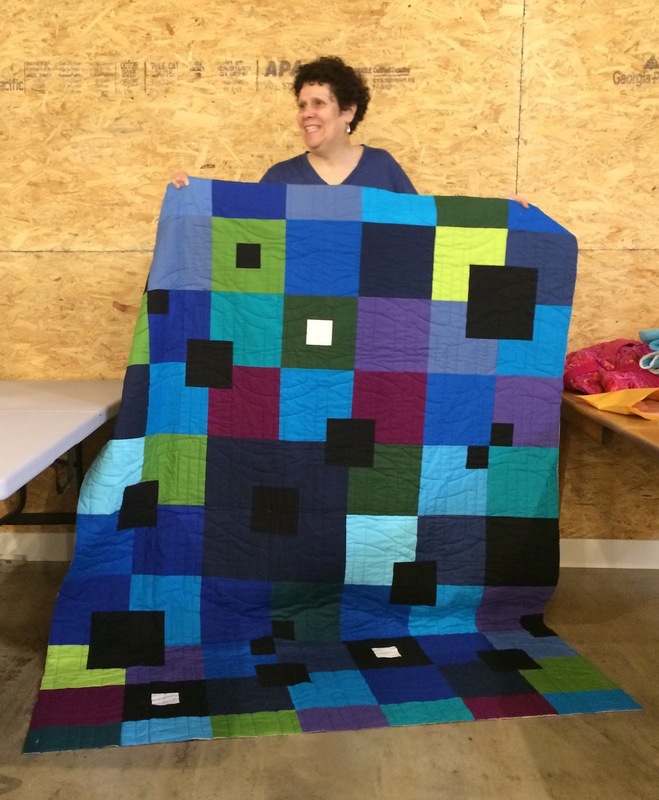 We look forward to seeing you at our next Social Sew In on June 25th, or at our next meeting on June 26th.